I'm one of those mother's that lives to dress my kids in theme. Valentine's Day is no exception. 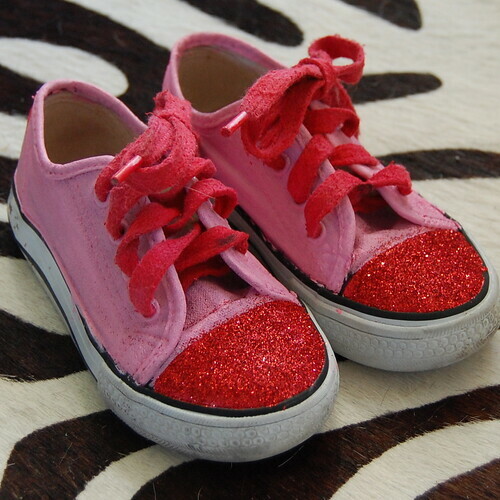 Novelty Valentines T-shirts are a dime a dozen, but shoes cute enough for Cupid are something special. Here is how to make your own. 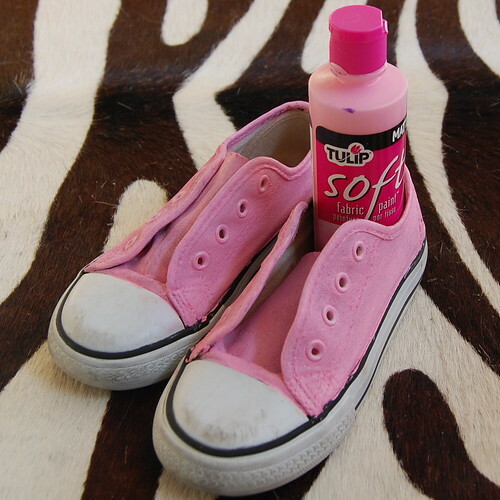 The first thing I did was paint the purple shoes pink. If you already have a pair of canvas shoes in the color you want you can skip this step. However, with just two coats of Tulip Fabric Paint the purple was gone and it was all about the pink. 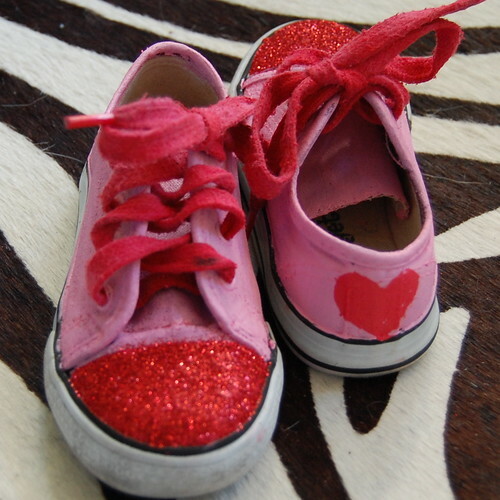 I could have left the shoe laces white, but why when they look so much cuter red. 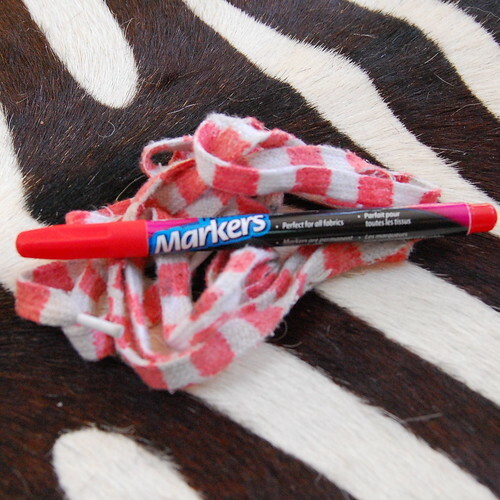 I know, I know this picture implies that I painted them striped with a red fabric marker. I did at first, but then later went back and used red spray paint. 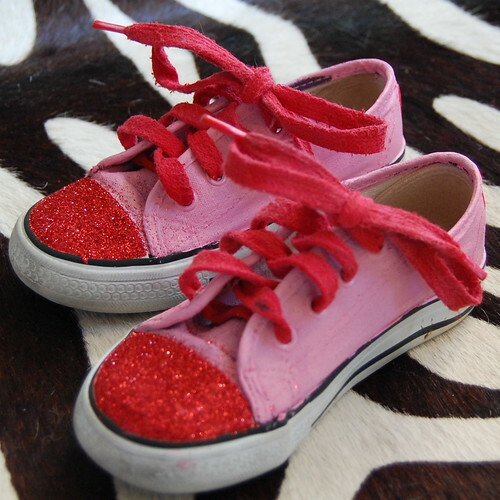 Next I painted the toes of my shoes red and while the paint was wet I coated them with red glitter. I also added a little heart to the back of each shoe. Now Tallulah can celebrate Valentines Day in style. Heck they were so easy to whip up I might make the whole family a pair. Ah, these are so precious! I'm sure she'll love showing them off to her friends at school!